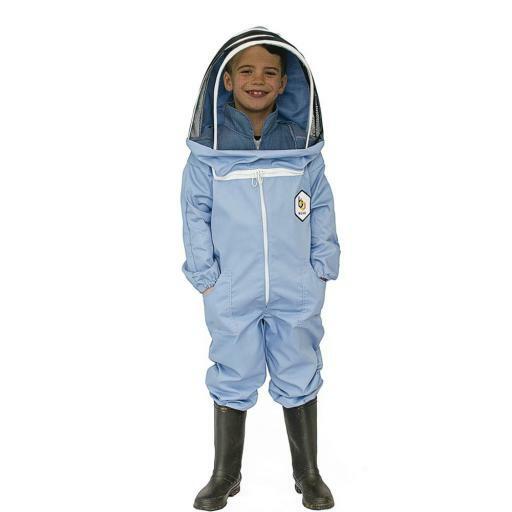 Size Age-4: Chest 14-16" / Height 4'0" Age-6: Chest 18-20" / Height 4'2" Age-8: Chest 22-24" / Height 4'5" Age-10: Chest 26-28" / Height 4'8"
The children's bee suit and veil has all that is needed for little hands to help around the apiary. 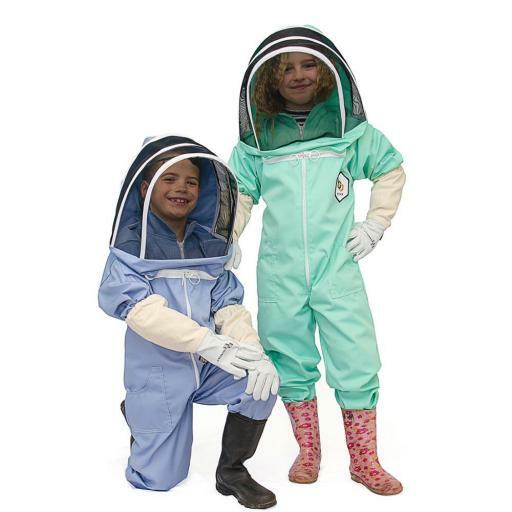 They can be made to feel very professional and confident with one of these suits and we have plenty of colours to choose from. please use the size guide below for your actual measurements, suits are made with extra room to allow for clothing to be worn underneath.